This is so funny - at least, the man is being honest! The Edmonton Oilers began the day on Tuesday by firing Todd McLellan and replacing him with Ken Hitchcock, and it ended in the Canadian team being able to overcame a three-goal deficit and win their second game in eight outings. Leon Draisaitl scored 51 seconds into overtime and Connor McDavid had his 100th career goal to guide the Oilers to a 4-3 victory over the San Jose Sharks. The Hitchcock era got off to a rough start for the Oilers, who allowed a goal in the opening minute of the contest, but at least some of the obstacles new head coach Hitchcock faced made it a quite entertaining night. In a funny post-game scrum, Hitchcock revealed that he was nervous about the game being past his bedtime and admitted he could not remember all the names of his new players during the contest. 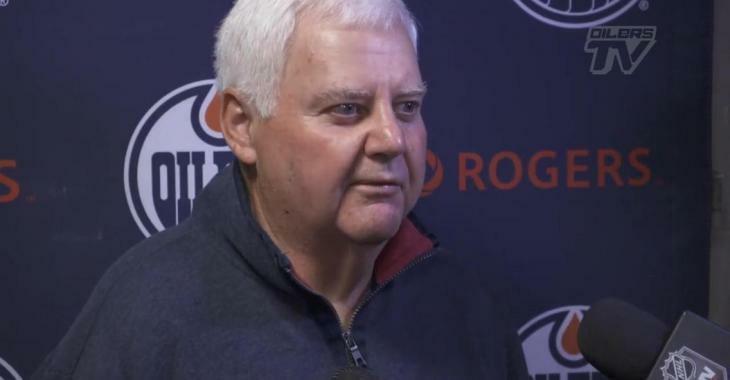 Hitchcock knows the team will need to undergo a lot before major improvements are seen, however, we can easily say that this first win on his first time behind the Oilers' bench is quite encouraging. “They feel young to me, which is fun,” Hitchcock said of his new roster. “And they’re excited to play. The part I like is, I told them I would coach them hard and they really embraced that.